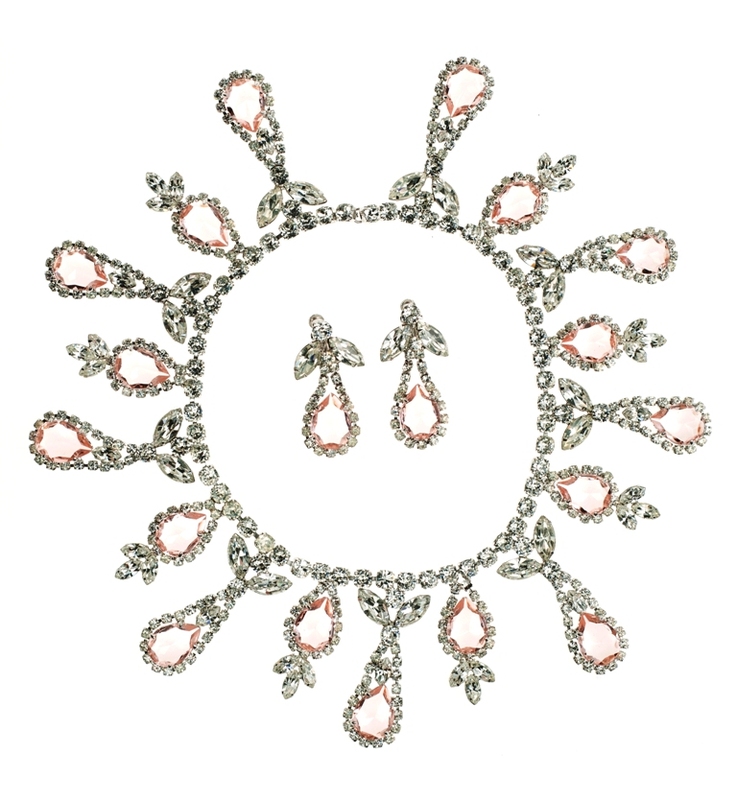 A show stopping necklace and matching earrings by Coro, for their most expensive jewellery line, Vendome. 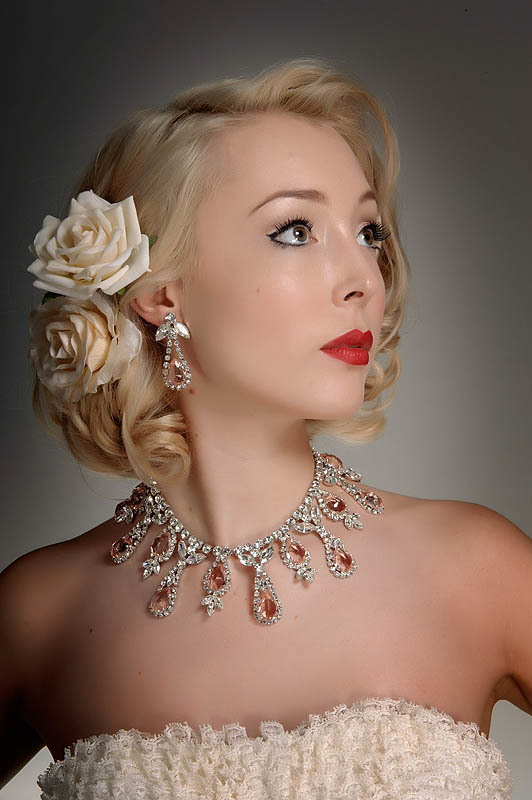 The necklace and earrings are set with large faceted Peach teardrop stones and crystal rhinestones. 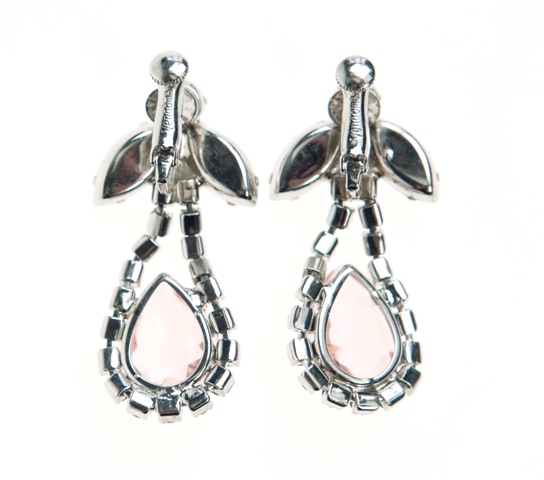 The necklace measures 14.5 x 6cm and the matching clip on earrings measure 6×2 cm. Coro, the largest costume jewellery manufacturer in America was founded in New York in 1901 by Emanuel Cohn & Carl Rosenberger. Initially called Cohn & Rosenberger, the name Coro was only used from 1943 onwards, despite Cohn’s death in 1910. Gene Verrecchio (Verri) was Coro’s most famous designer; he worked for the firm from 1933 - 1963 and many of Coro's most collectable designs are his. 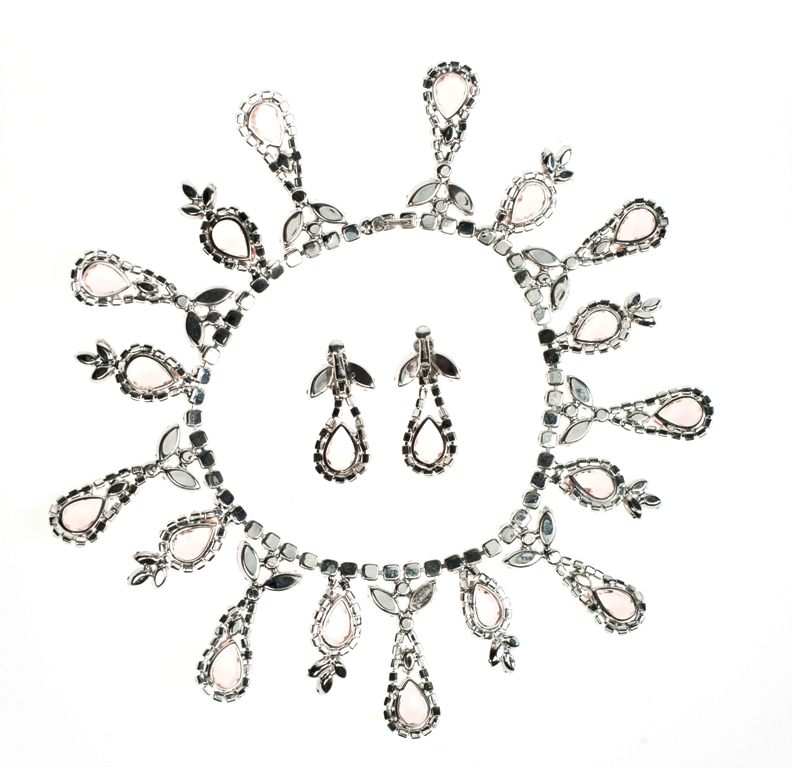 Coro manufactured a huge volume of pieces and had several lines to suit different audiences, ranging from mass market to the more exclusive lines such as Vendome. Coro expanded internationally, to Mexico and Canada; they also established a presence in England with the brand, Corocraft. The new name was used to avoid confusion with established English jewellers Ciro. Rosenberger died in 1957, and his son Gerald took over but died in 1967. In 1969 the company was sold to Richton, Intl. Corp, however by 1979 all subsidiaries of Coro were bankrupt. The Canadian arm of the business was sold to a South American company but that too ended in bankruptcy in 1992.